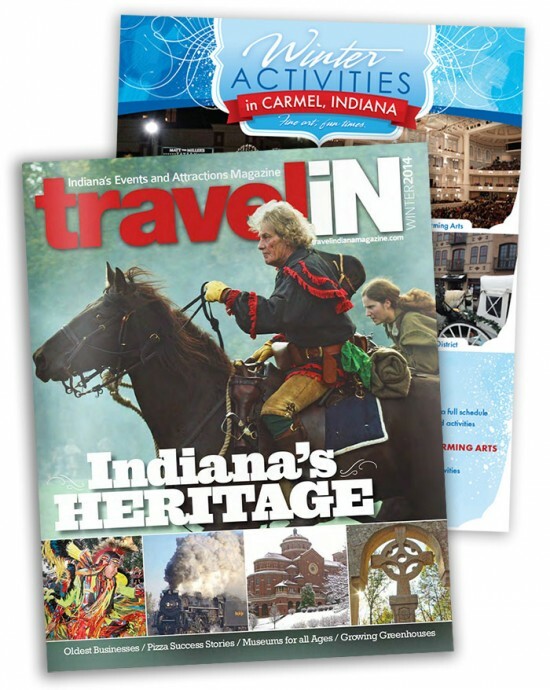 The audience for this print advertisement will be flipping through the pages of a travel magazine, looking for places to go and things to see during the winter season. So we wanted to create an engaging design that feels wintery, but inviting and classy. 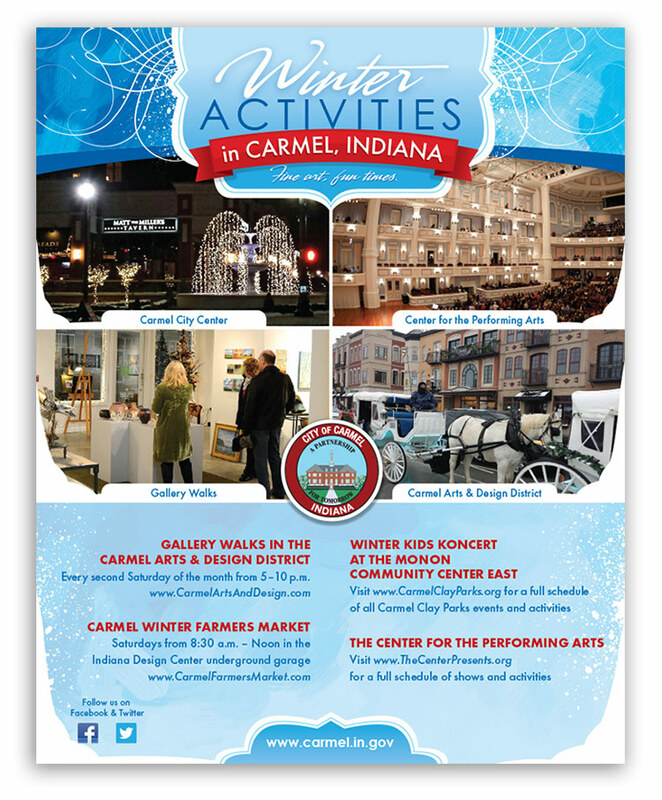 The tone of the ad is intended to reflect the caliber of offerings the City of Carmel, Indiana has to offer. See a case study and sampling of marketing collateral we created for Carmel’s Arts & Design District.